As long as there have been people, there has been crime. Criminology is the study of crime and the criminal element, its causes, and the suppression and prevention of it. The history of criminology is in many ways the history of humanity. As human society has evolved over thousands of years, so, too, has our understanding of the causes of crime and society's responses to it. In ancient times, the common response to crime was revenge—the victim or the victim’s family would exact what they felt to be an appropriate response to the crime committed against them. Often, these responses were not measured or proportionate. The original criminal would often perceive himself as the victim as a result, due to the actions taken against him that he felt didn't match the crime committed. Blood feuds often developed that could sometimes last for generations. Laws that clearly defined crimes and corresponding punishments were established to both quell crime and to put an end to the blood feuds that resulted from the victims’ revenge. 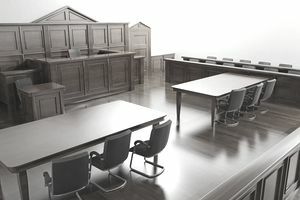 These early attempts still allowed the victim of a crime to issue the punishment, but they sought to clarify that a response to a particular crime should be equal to the severity of the crime itself. Crime, along with most everything else, was viewed in the context of religion in early societies. Criminal acts offended the gods or God. Acts of revenge were therefore justified as a means to appease the gods for the affront committed against them. Much of our modern understanding of the relationship between crime and punishment can be traced to the writings of the Greek philosophers Plato and Aristotle, although it would take more than a millennium for many of their concepts to take root. Plato was among the first to theorize that crime was often the result of poor education. He felt that punishments for crimes should be assessed based on their degree of fault, allowing for the possibility of mitigating circumstances. Aristotle developed the idea that responses to crime should attempt to prevent future acts, both by the criminal and by others who might be inclined to commit crimes. Punishment for crime should serve as a deterrent to others. The Roman Republic was first society to develop a comprehensive code of laws, including criminal codes. The Romans are widely regarded as the true precursors to the modern legal system, and their influences are still seen today. The Latin language is preserved in much of our legal terminology in the 21st century. Rome took a more secular view of crime, viewing criminal acts as an affront to society rather than God or the gods. It took on the role of determining and delivering punishment as a governmental function as a means of maintaining an ordered society. A lack of a strong central authority led to a step backward in attitudes toward crime with the decline of the Roman Empire. The introduction and spread of Christianity throughout the west brought a return to a religious connection between crime and punishment. Criminal acts became thought of as the works and influences of the devil or Satan. Crimes were equated with sin. In contrast to ancient times when punishments were often carried out to appease the gods, punishments were now exacted in the context of "doing God’s work." Harsh punishments were meant to purge criminals of sin and free them of the influence of the devil. It was believed that God had established a “natural law,” and crimes violated that law. Anyone who committed a crime had also committed an act which separated herself from God. Society began to understand that crimes hurt not only the victim, but the criminal as well. While criminals were deserving of punishment, they were also to be pitied because they had placed themselves outside of God’s grace. Although these ideas were derived from religious studies, the concepts continue to prevail in our secular views of crime and punishment. Kings and queens of earlier times claimed their totalitarian authority on the will of God, taking the position that they had been placed in power by God and were therefore acting within His will. Crimes against persons, property, and state were all viewed as crimes against God and as sins. Monarchs claimed to be both of heads of state and heads of church. Punishment was often swift and cruel, with little regard for the criminal. Ideas about crime and punishment took a more secular and humanistic form as the notion of separation of church and state began to take root. Modern-day criminology developed out of the study of sociology. Modern criminologists seek to learn the root causes of crime and to determine how to best address and prevent it. Early criminologists advocated a rational approach to dealing with crime, pushing against the abuses by governmental authorities. In his book, "On Crime and Punishment," Italian writer Cesare Beccaria advocated for a fixed scale of crime and corresponding punishment based on the severity of the crime. He suggested that the more severe the crime, the more severe the punishment should be. Beccaria believed that the role of judges should be limited to determining guilt or innocence, and that they should issue punishments based on guidelines set out by the legislatures. Excessive punishments and abusive judges would be eliminated. Beccaria also believed that preventing crime was more important than punishing it. Punishment of crime should therefore serve to scare others away from committing those crimes. The thought was that the assurance of swift justice would convince someone otherwise likely to commit a crime to think first about the potential consequences. Criminology developed further as sociologists tried to learn the root causes of crime. They studied both the environment and the individual. Belgian statistician Adolphe Quetelet looked at similarities between demographics and crime rates with the first publication of national crime statistics in France in 1827. He compared areas where higher rates of crime occurred, as well as the age and gender of those who committed those crimes. He found that the highest numbers of crime were committed by under-educated, poor, younger males. He also found that more crimes were committed in wealthier, more affluent geographical areas. However, the highest rates of crime occurred in wealthy areas that were physically closest to poorer regions, suggesting that poor individuals would go to wealthier areas to commit crimes. This demonstrated that crime occurred largely as a result of opportunity, and it showed a strong correlation between economic status, age, education, and crime. Italian psychiatrist Cesare Lombroso studied cause of crime based on individual biological and psychological characteristics in the late 19th century. Most notably, he suggested that many career criminals were not as evolved as other members of society. Lombrosso discovered certain physical attributes shared among criminals as well, and this led him to believe that there was a biological and hereditary element that contributed to an individual’s potential to commit a crime. These two lines of thinking—biological and environmental—have evolved to complement each other, recognizing both internal and external factors that contribute to the causes of crime. The two schools of thought formed what is considered the discipline of modern criminology. Criminologists now study societal, psychological and biological factors. They make policy recommendations to governments, courts, and police organizations to assist in preventing crimes. As these theories were being developed, the evolution of the modern police force and of our criminal justice system was occurring as well. The purpose of police was refined to prevent and detect crimes, as opposed to simply react to crimes that had already been committed. The criminal justice system now serves to punish criminals for the purpose of deterring future crimes. What Does the Police Badge Mean and Why Do Officers Carry Them? What Is the Difference Between Law Enforcement and Policing?